It takes your engine to new levels of cleanliness and boosts the performance, it practically takes your car back to the level it was when you bought it brand new. Or if you’ve never had the car from new, it’ll feel like it was. Terraclean is a process that removes carbon and thoroughly cleans the engine; resulting in increased miles per gallon, performance and reduced emissions. When TerraClean cleans the engine fuel system, it can also free up sticky turbos, clean sensors and give you at least a couple of BHP increase. 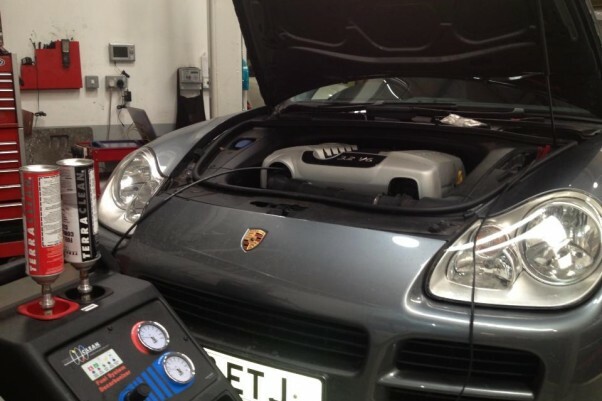 It’s recommended that you have a TerraClean at least once in your Porsche’s life time, and if you’re replacing parts like the clutch or engine parts, its recommended that you TerraClean beforehand. You can visit the Terraclean web site for more information here.